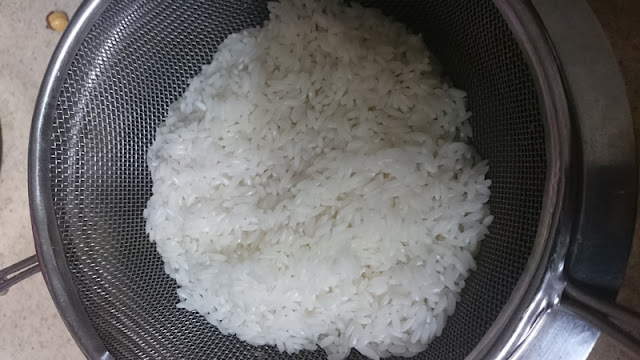 • Clean the rice for any stones and rinse the raw rice twice with plain water. 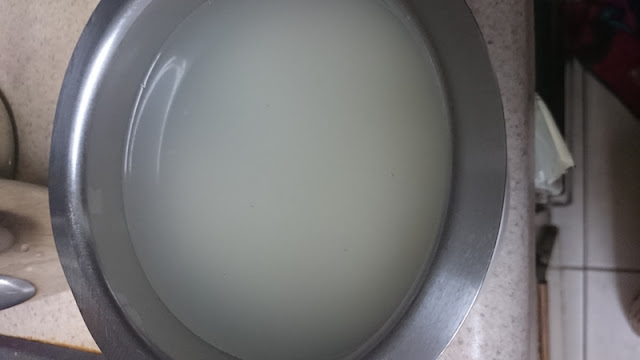 • Soak rice in water for 2 hours. • Drain water completely using strainer. • Spread the raw rice on a soft towel and allow it to dry for 2 hours. You can also dry it in the sun. • Transfer rice in to a mixer when it is little bit moist. This will help grind rice into fine powder. • If you will be using the rice flour right away then you don’t need to roast it. 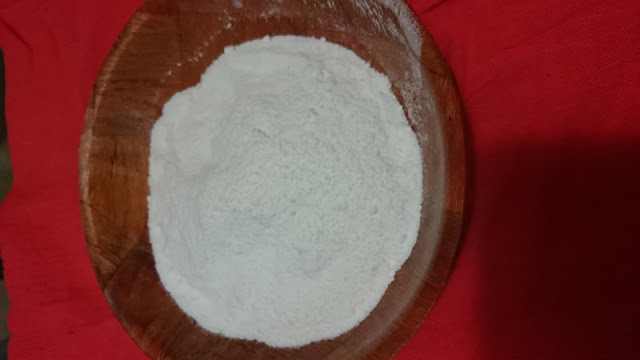 If you are planning to store it then dry roast the sieved flour until you see steam leaving the flour. Roast it on a low flame. • Cool down by spreading the flour on cloth and store in airtight container.